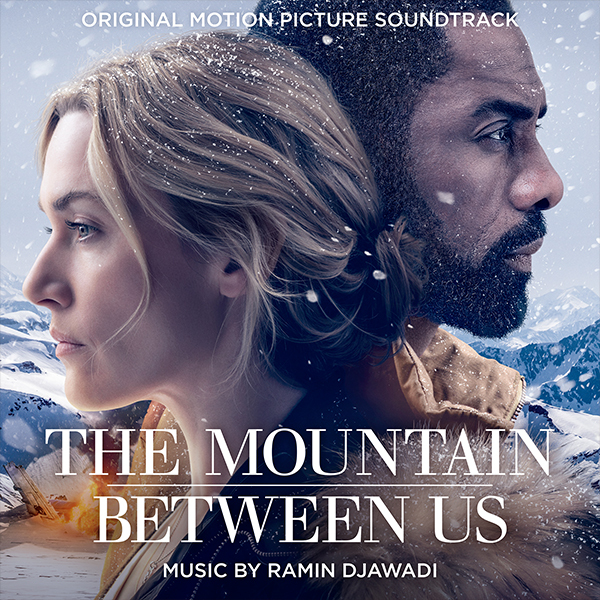 Lakeshore Records will release THE MOUNTAIN BETWEEN US – Original Motion Picture Soundtrack digitally on October 6 and on CD soon after. The album features the original music composed by Ramin Djawadi (Game of Thrones, Westworld). Stranded after a tragic plane crash, two strangers must forge a connection to survive the extreme elements of a remote snow-covered mountain. When they realize help is not coming, they embark on a perilous journey across hundreds of miles of wilderness, pushing one another to endure and discovering strength they never knew possible. THE MOUNTAIN BETWEEN US is directed by Academy Award® nominee Hany Abu-Assad and stars Academy Award® winner Kate Winslet and Golden Globe® winner Idris Elba. Ramin Djawadi is known for his melodic and memorable thematic scores. His compositions vary stylistically between classical orchestral, electronic, rock and modern genres. Ramin blends elements with careful consideration to the emotionality and narrative of each scene. His ‘Main Title Theme’ from the critically acclaimed HBO’s series, GAME OF THRONES, has become one of the most iconic television themes in years. In addition to the shows’ main title theme, Ramin has composed all of the underscore throughout all of the shows seasons. He recently announced a Game Of Thrones Live Concert Experience in 2018 in both Europe and North America. Djawadi is currently collaborating with PERSON OF INTEREST’s creator Jonah Nolan on the HBO’s Emmy nominated series WESTWORLD writing the second season. Djawadi also collaborates with Guillermo del Toro on THE STRAIN after having scored his epic monster film, PACIFIC RIM. Other works include Fox’s PRISON BREAK, ABC’s FLASH FORWARD which he received an Emmy® nomination for “Outstanding Music Composition for a Series.” He received his first EMMY® nomination for “Outstanding Original Main Title Theme Music” for PRISON BREAK and his third EMMY® nomination for GAME OF THRONES. He is well recognized for his Grammy®-nominated, guitar-driven score for the blockbuster IRON MAN and has since composed scores for films such as DRACULA UNTOLD, SAFE HOUSE, FRIGHT NIGHT and CLASH OF THE TITANS. Ramin previously created the ethereal score for the film MR. BROOKS starring Kevin Costner and William Hurt. The score earned him a World Soundtrack Awards “Discovery of the Year” nomination.